Click HERE for more info, applications, pricing, and installation instructions. 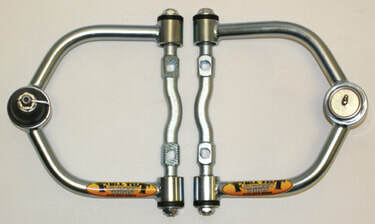 Full Tilt's NO-BIND STRUT ROD ELIMINATORS for Mustang II IFS hot rod suspensions improve ride quality and eliminate ugly low-hanging brackets. Available in 3 "more bitchin'rTM"finishes! 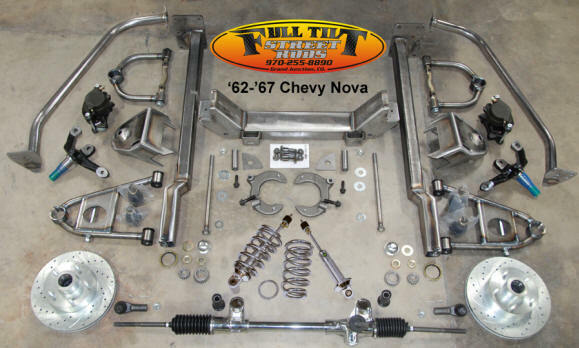 Full Tilt's complete HUB-to-HUB MUSTANG II IFS FRONT SUSPENSION kits come with with your choice of coil springs, coil-overs or air bags plus many more great options!! Click HERE for HUB-TO-HUB details and options. Full Tilt's brand-new Mustang II IFS SPINDLES are made from one piece of die-formed forged steel and are available in stock height or two-inch drop. Click HERE for complete details on all of our exclusive TUBULAR UPPER CONTROL ARMS and TUBULAR LOWER CONTROL ARMS for Mustang II IFS! 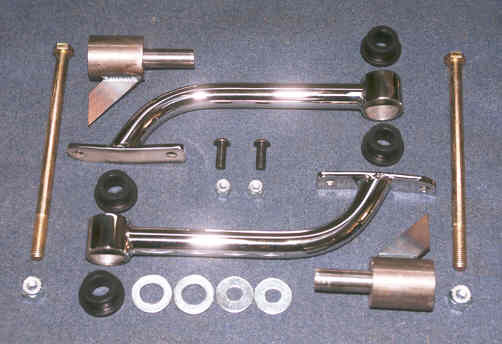 Also our Chevy Nova subframe kit can be shipped by FedEx or UPS, saving you $$! 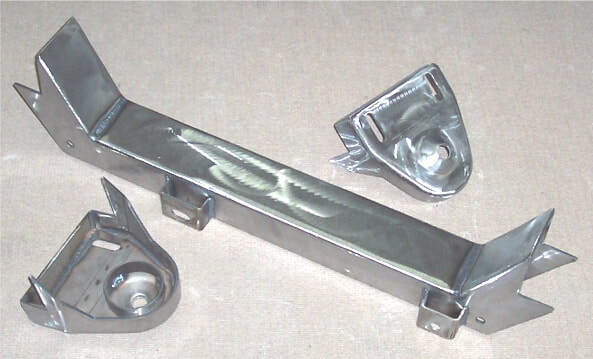 Comes knocked down as shown or completely welded subframe. Introductory prices start at just $2099.95 + S&H. Call Clay at 970-255-8890 to get yours NOW! We also offer a complete 4-Bar Rear kit for these Novas. 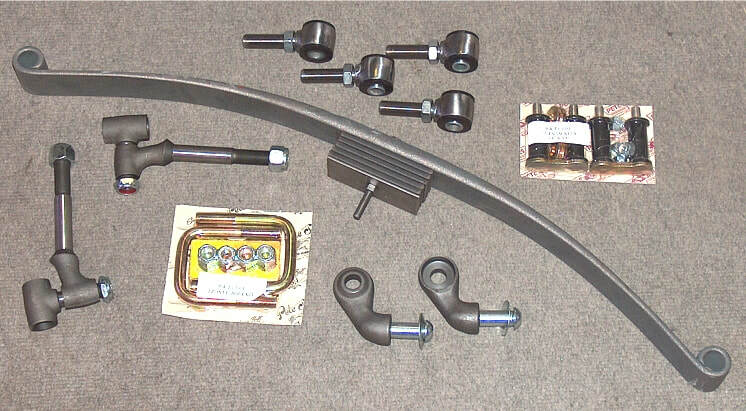 Click HERE for lots more Chevy Nova subframe pix & info. 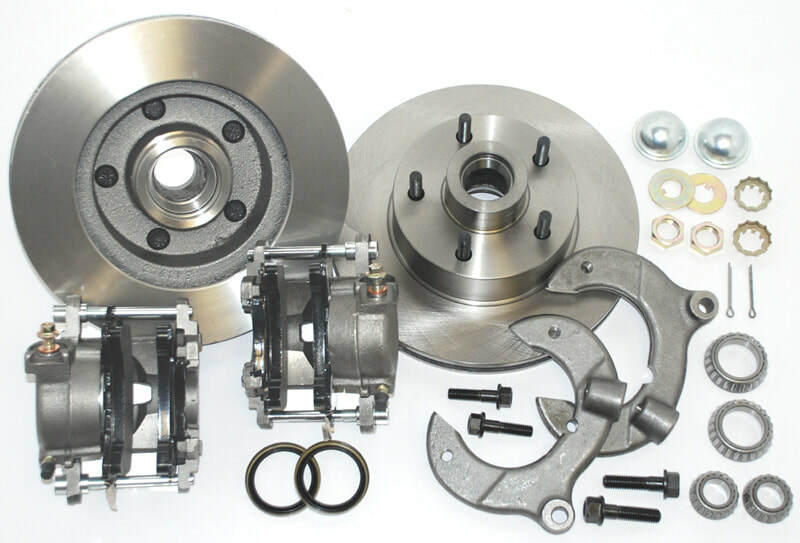 Click HERE for details on our range of BIG BRAKE Kits for Mustang II IFS! 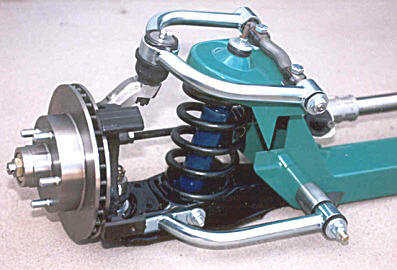 Our cool, great-riding adjustable-ride-height MONO-SPRING FRONT SUSPENSION is designed for '28 - '34 Fords, but it can be readily adapted to other applications, too! 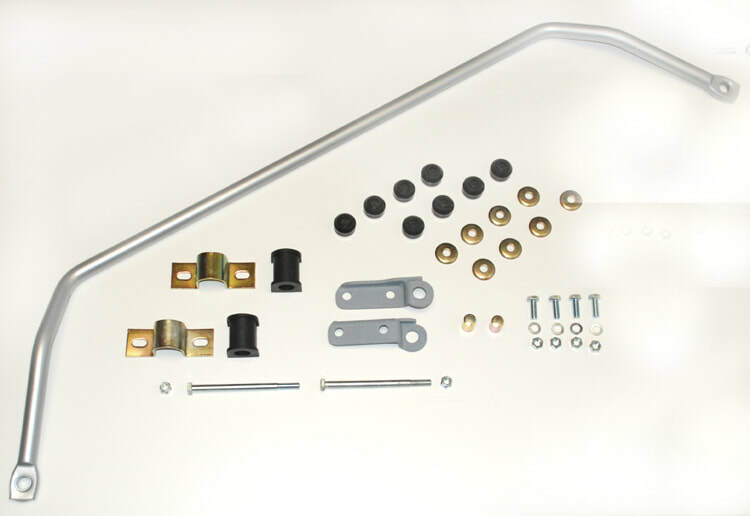 And we're pleased to offer a selection of adjustable spring perches, shackle kits, shock mounts and adjustable stainless rod ends.